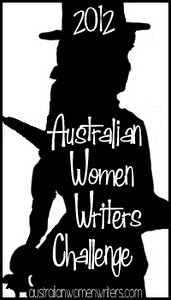 This entry was posted in Australian literature, Australian Women Writers 2012 Challenge, Australian Women's Writing, Book reviews, Miles Franklin Award 2012. Bookmark the permalink. A good review in that it exposes the exploration of masculine relationships as being the focus of the book, and also gives us an idea of the writer’s style. Yes- there is a strong emphasis on masculinity- hardly a woman to be seen! (well…one or two). I’d really like to get to reading this one at some stage. I think it’s been an important book- and it’s a slim volume too, which adds to the charm. Yes, it’s quite a quick read- lots of small chapters too. This has been on my TBR list a while as well!